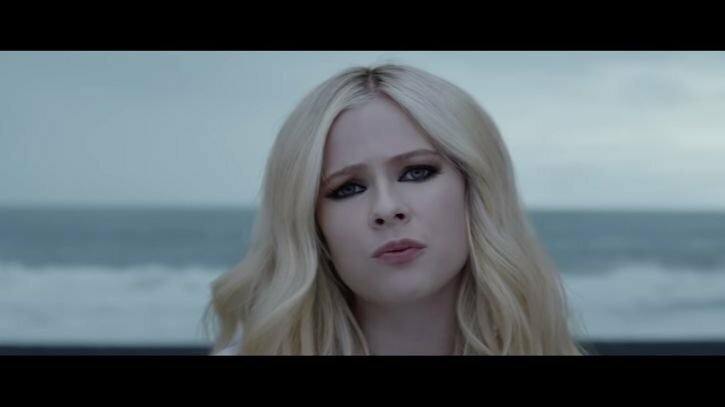 Avirl Lavigne has finally debuted the official video for her new song, 'Head Above Water'. The 34-year-old, who has been on a five-year long hiatus, has been teasing the video for weeks. The video was released on YouTube on Thursday and it already has over two million views. "My queen is back," one user commented. The emotional ballad details Avril's battle with Lyme Disease, which is a form of arthritis, that left her bedridden for two years. She said in a statement that she wrote the song after "one difficult night in particular". "I thought I was dying, and I had accepted that I was going to die. My mom laid with me in bed and held me. I felt like I was drowning. Under my breath, I prayed ‘God, please help to keep my head above the water.’ In that moment, the songwriting of this album began. It was like I tapped into something. It was a very spiritual experience," she says. The song beautifully captures Avirl's determination to keep fighting. "God, keep my head above water / Don't let me drown, it gets harder," she sings on the track. Avril performed the song live for the first time on Jimmy Kimmel Live on Wednesday.